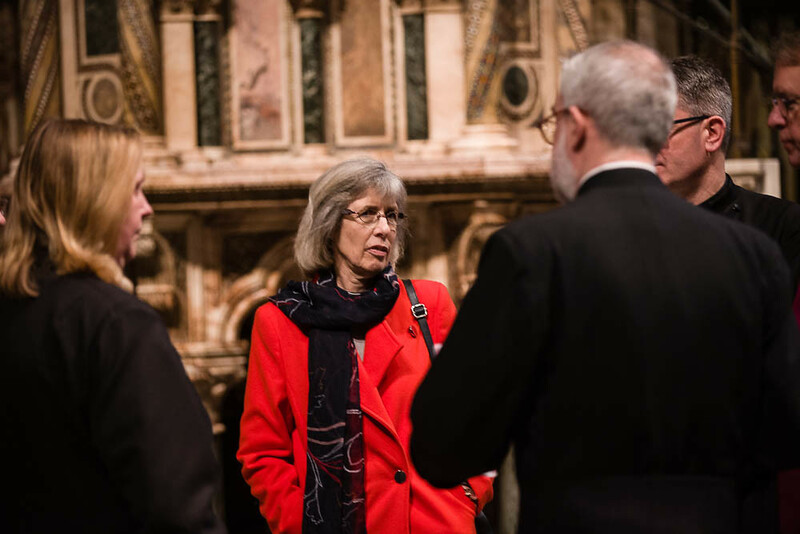 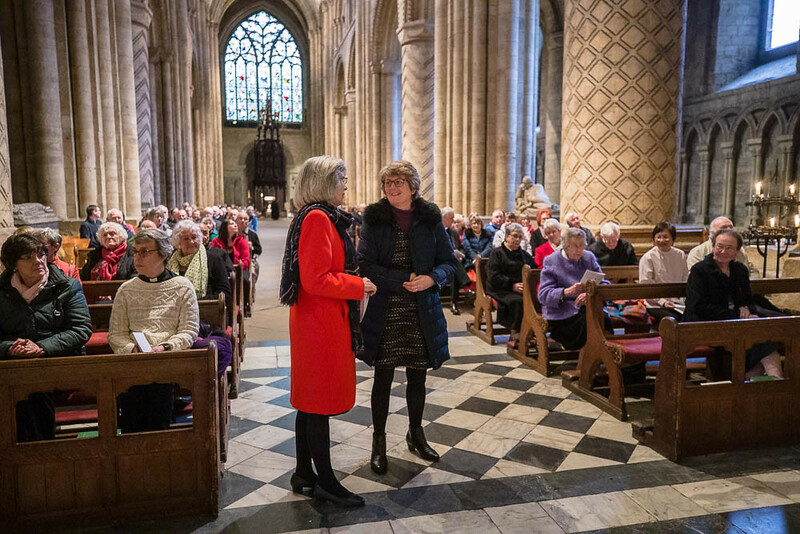 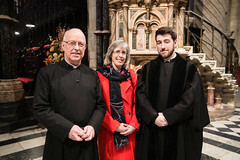 For the last 18 years, Ian (63) and Ruth have been faithful servants of the Church and Communities of Durham since moving to the Diocese from Portsmouth Diocese in 2001. 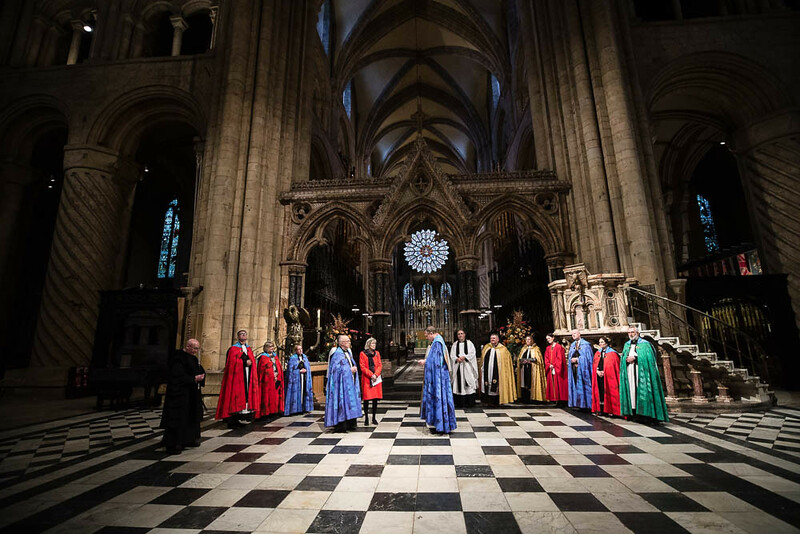 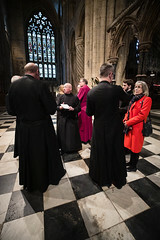 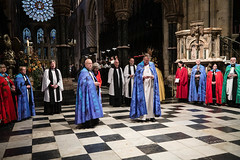 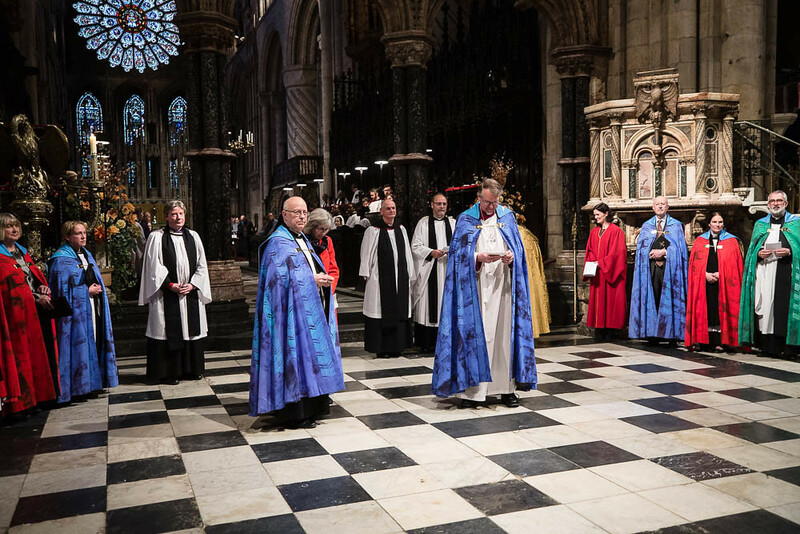 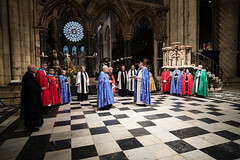 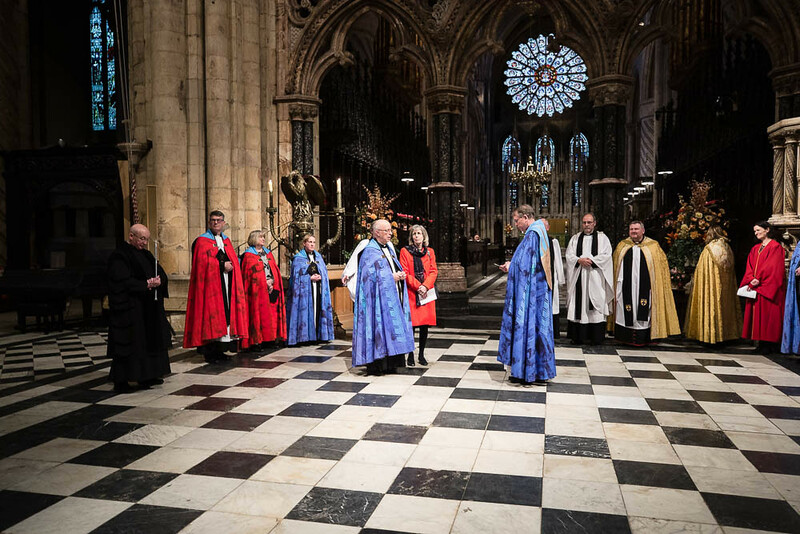 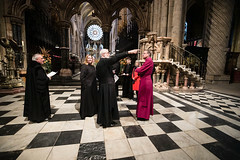 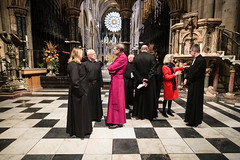 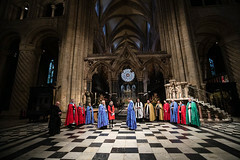 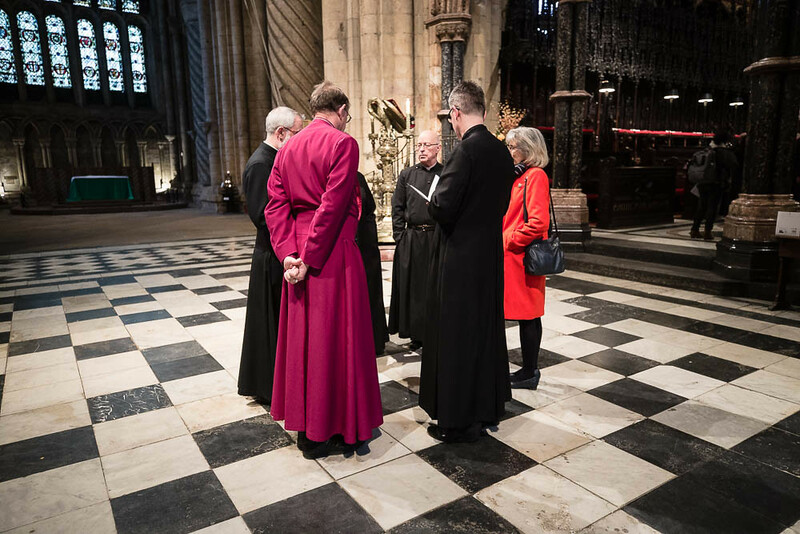 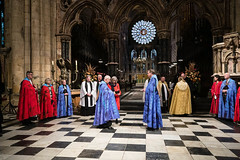 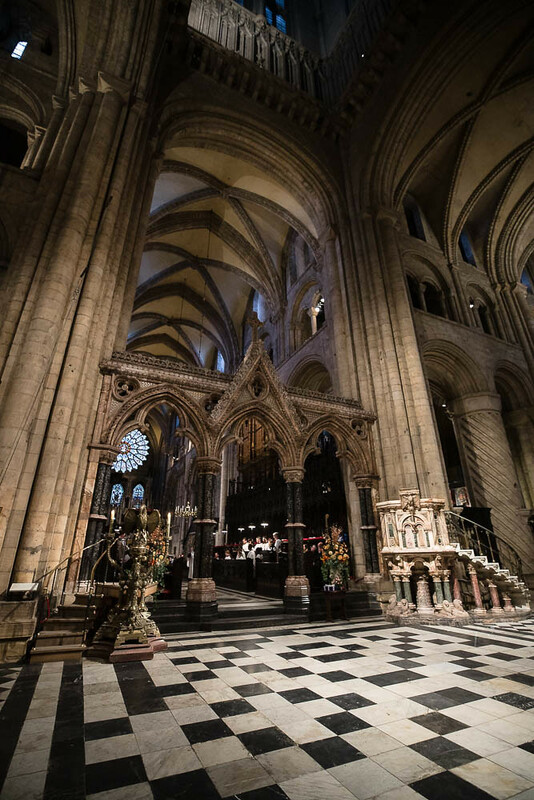 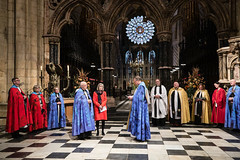 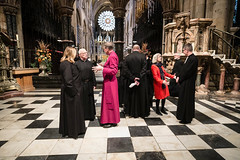 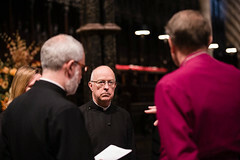 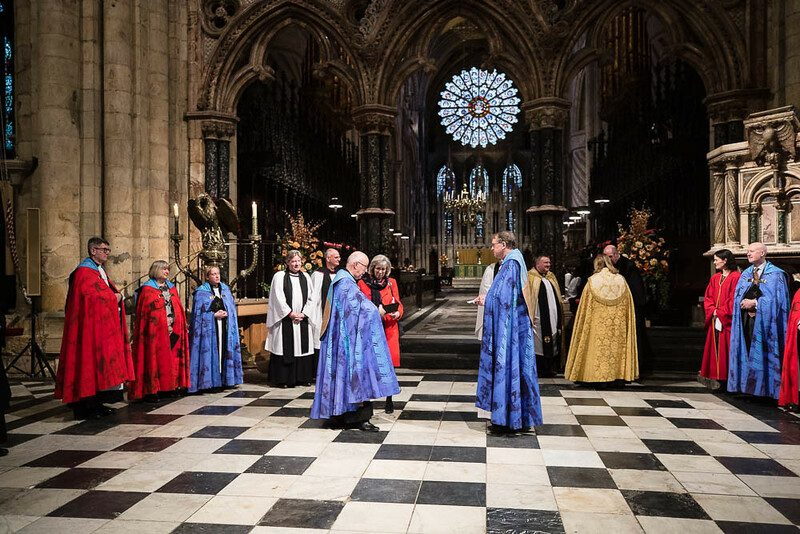 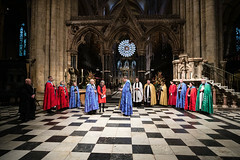 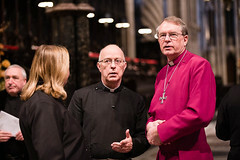 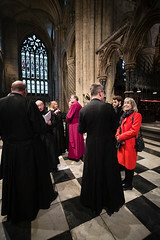 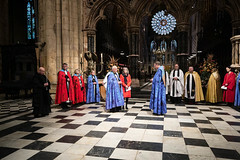 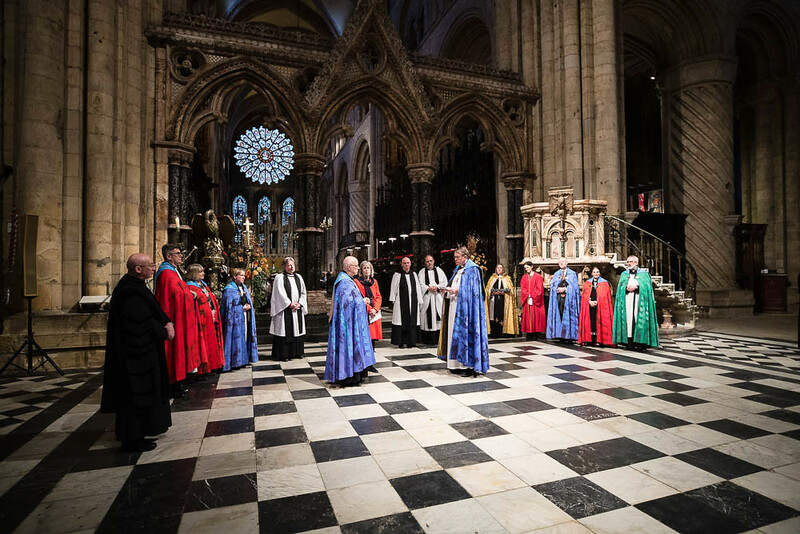 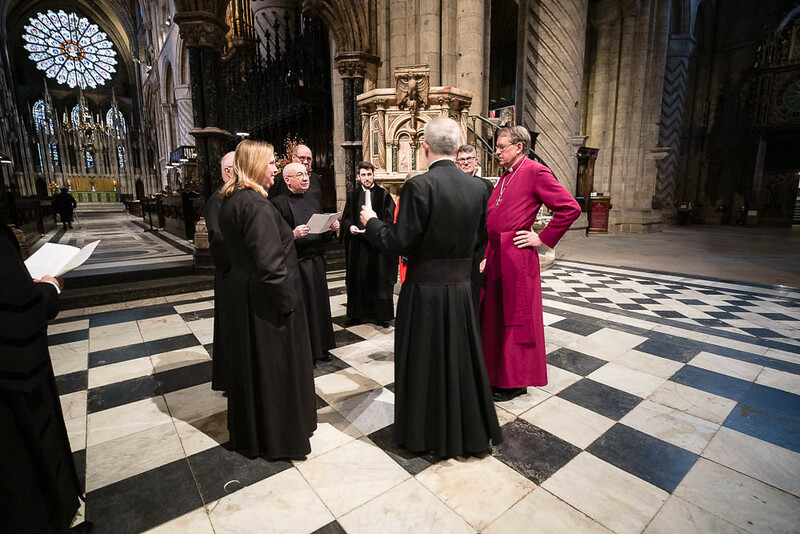 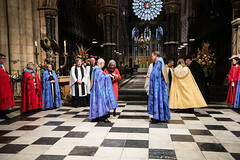 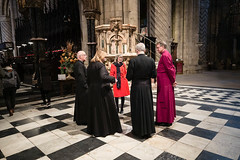 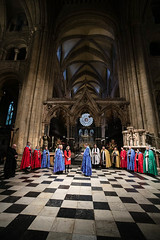 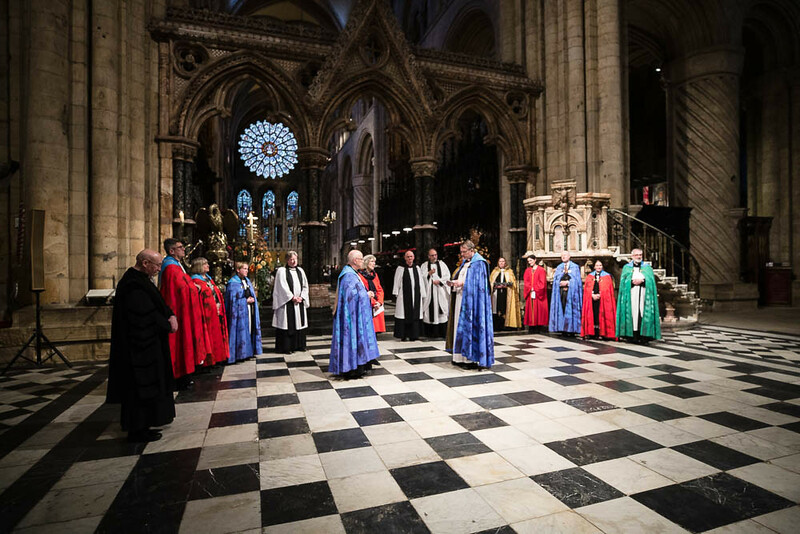 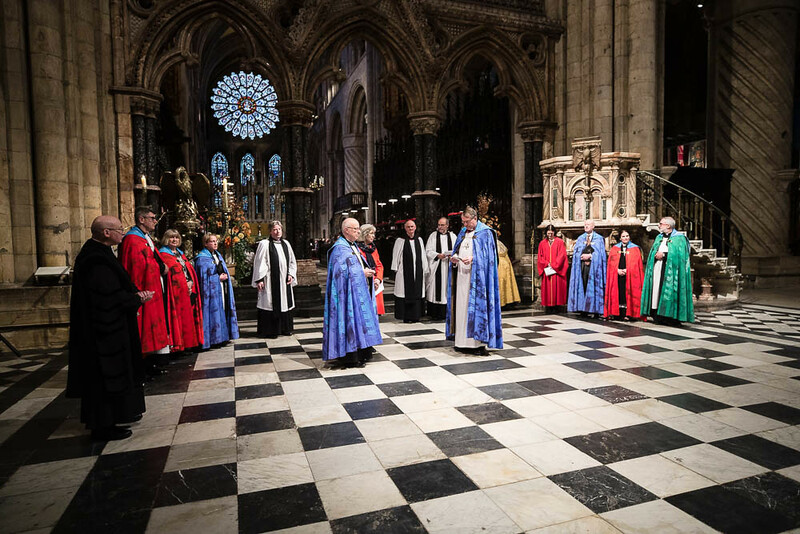 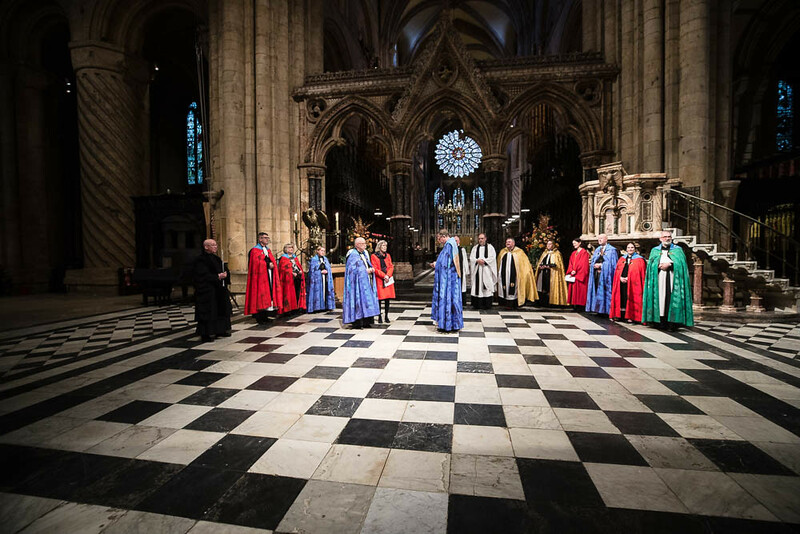 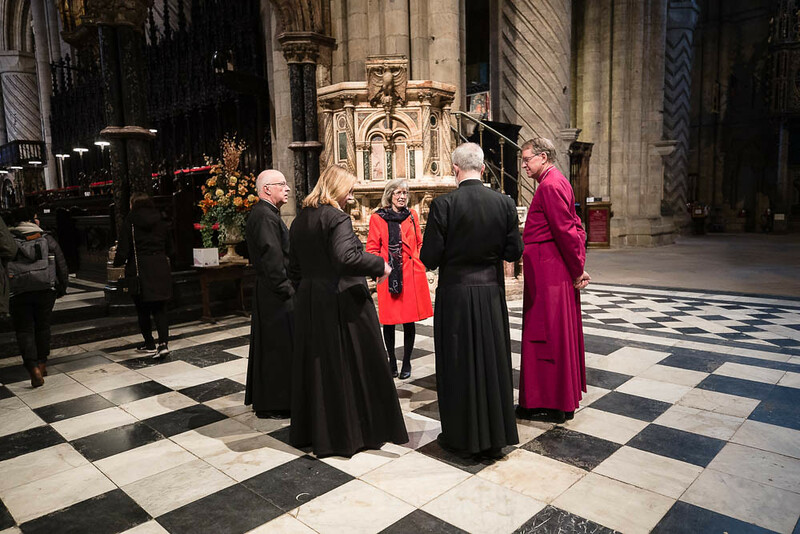 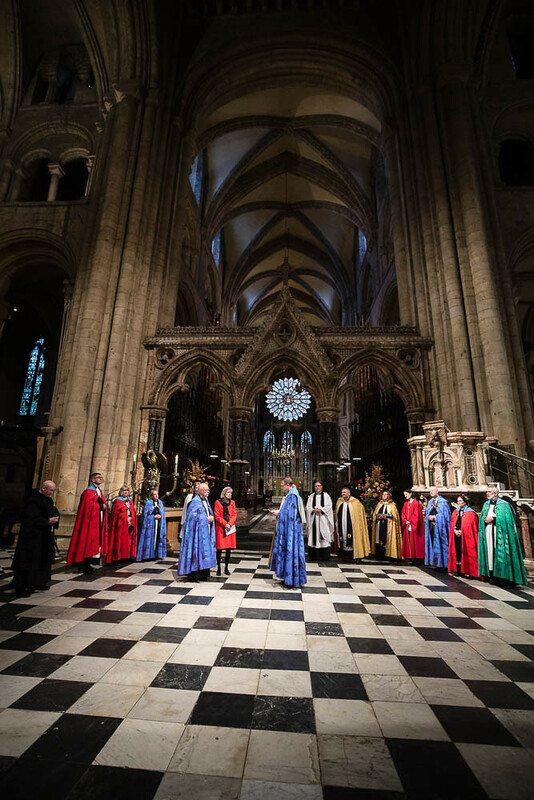 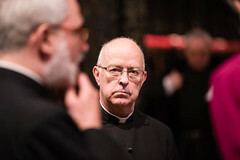 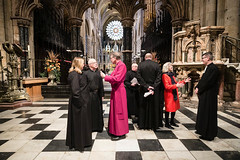 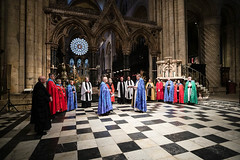 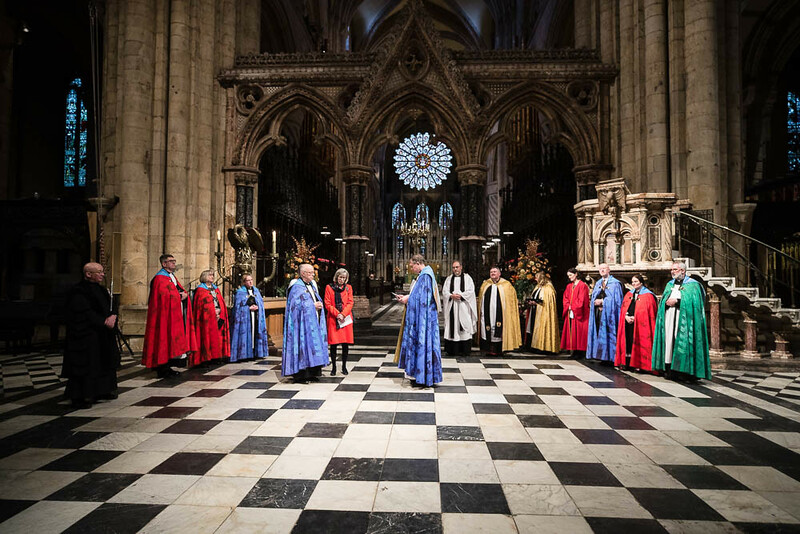 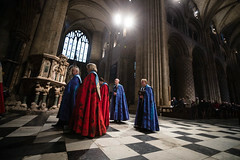 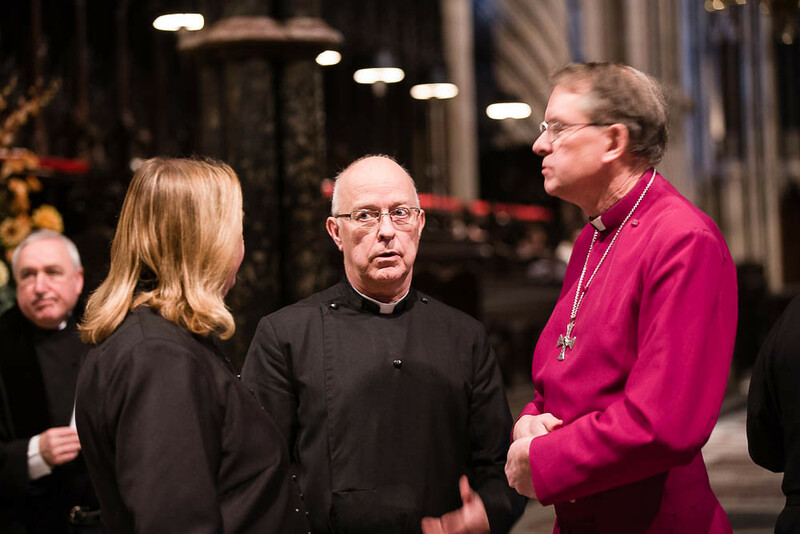 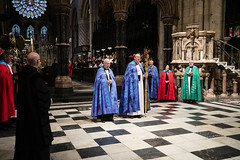 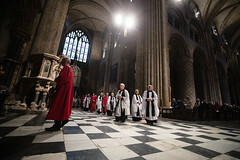 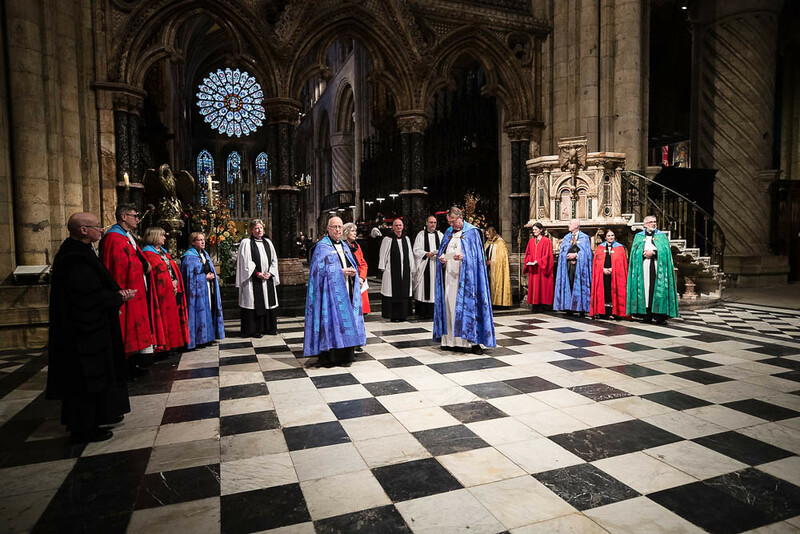 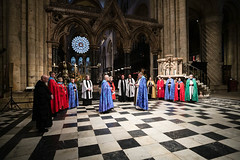 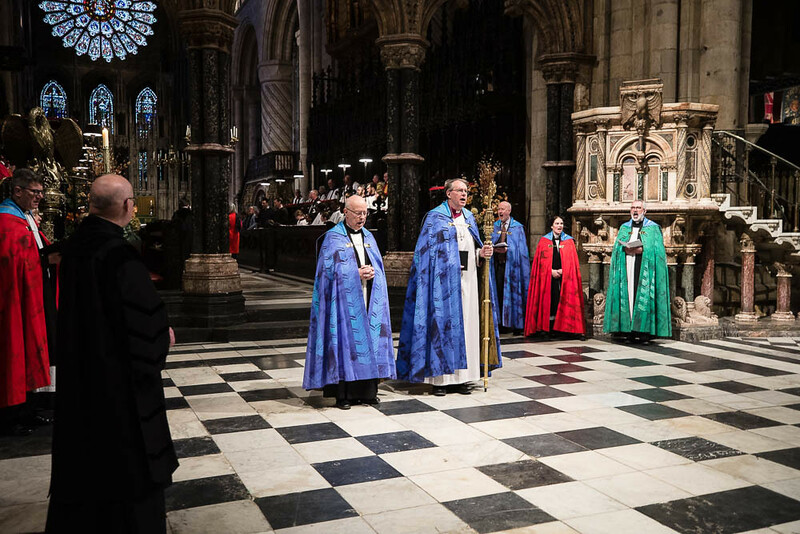 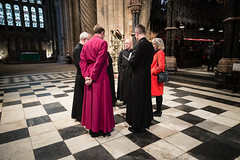 Ian has been Archdeacon of Durham and Canon Residentiary of Durham Cathedral since 2006, prior to that he was Archdeacon of Auckland and Rural Development Officer in the Diocese. 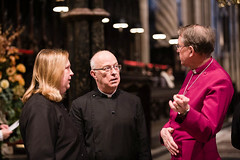 Ian and Ruth receive gifts and thanks from the Diocese lead by Bishop Paul. 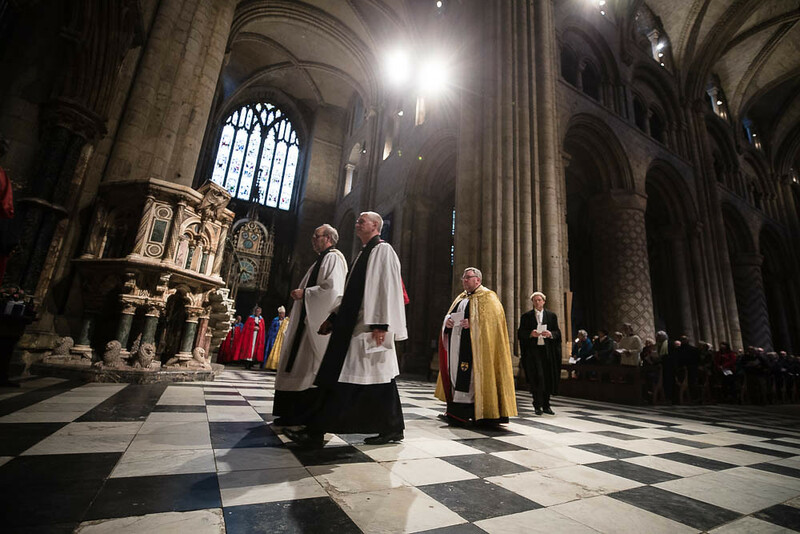 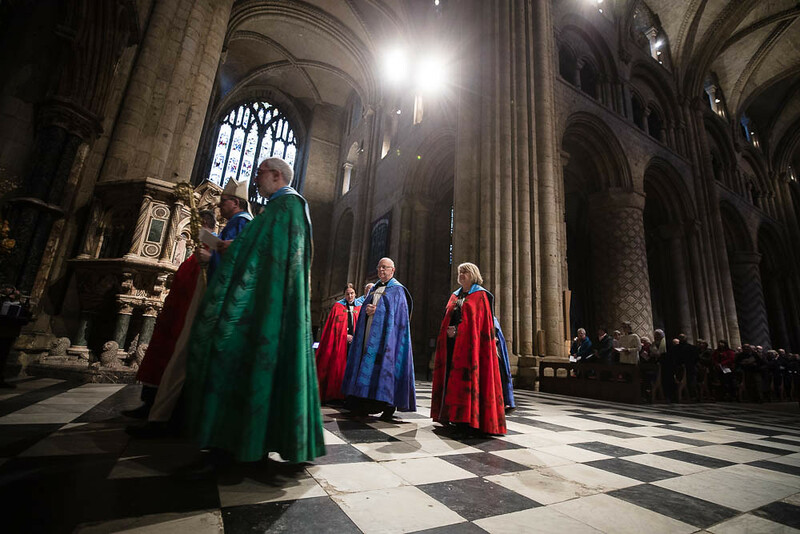 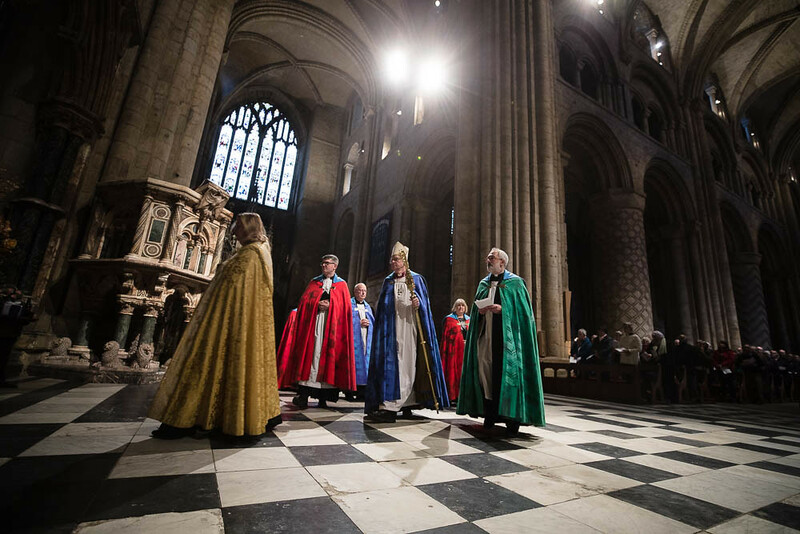 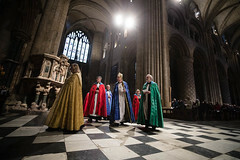 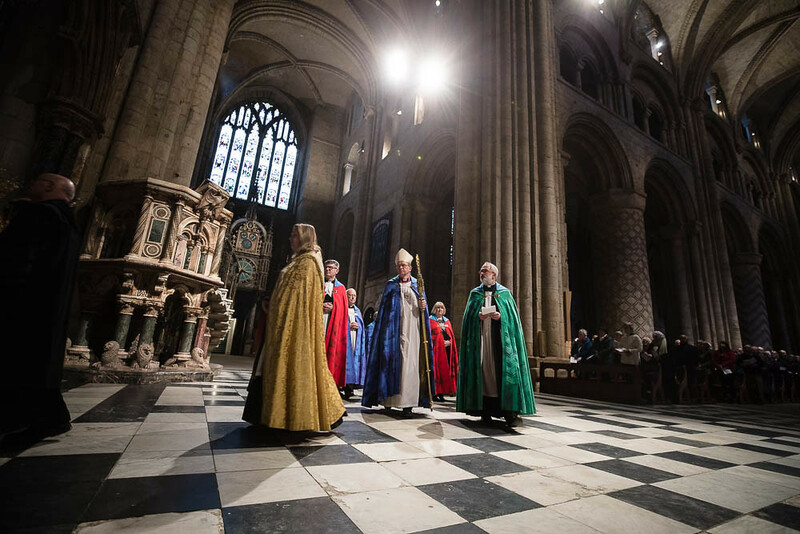 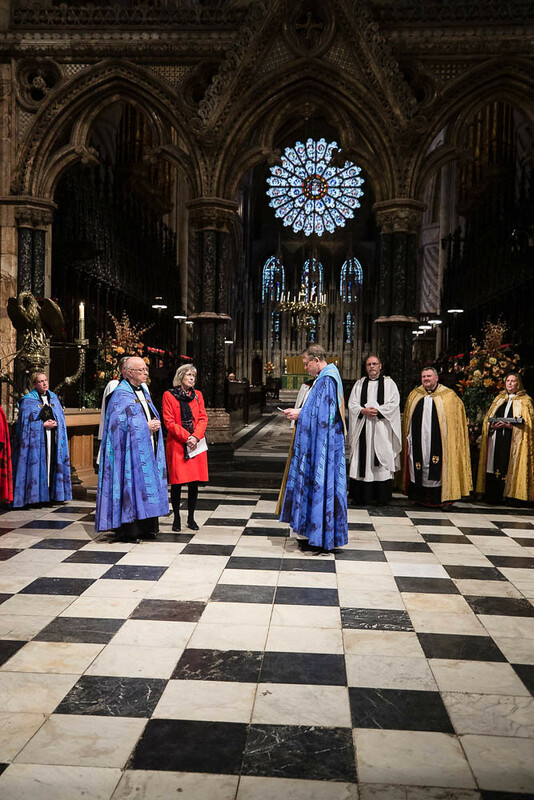 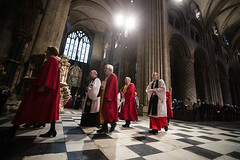 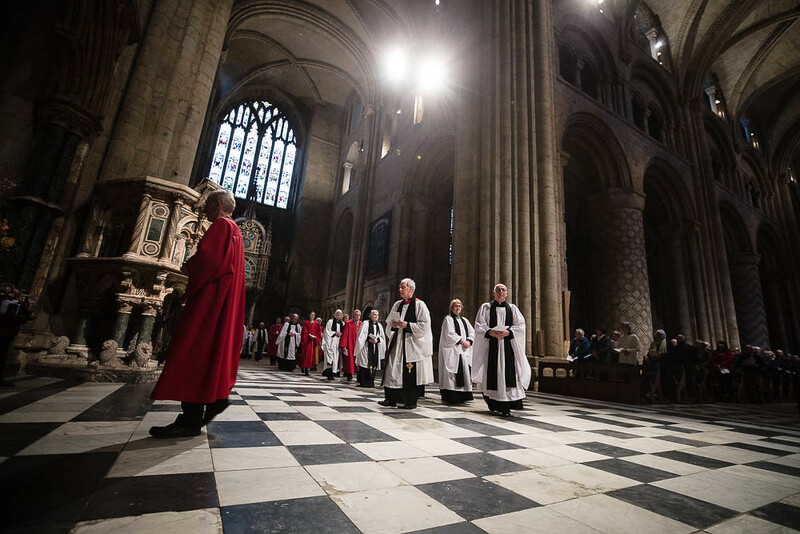 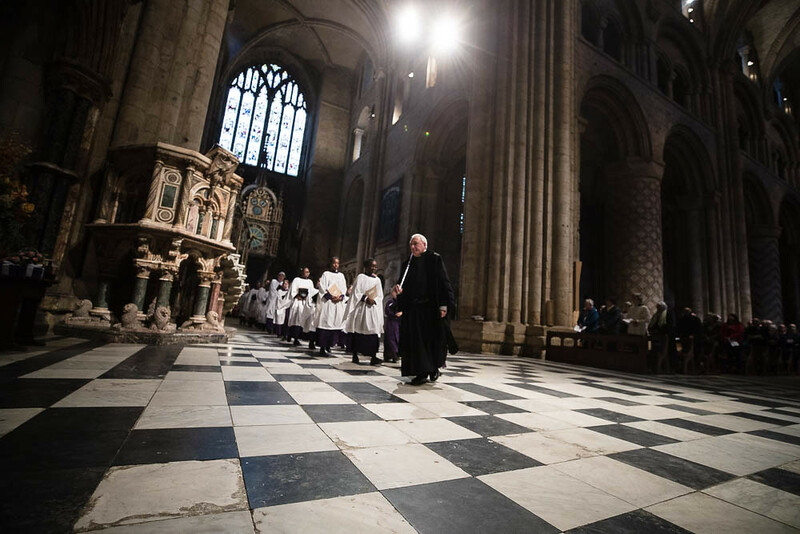 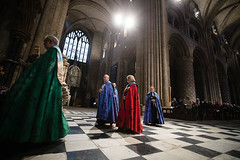 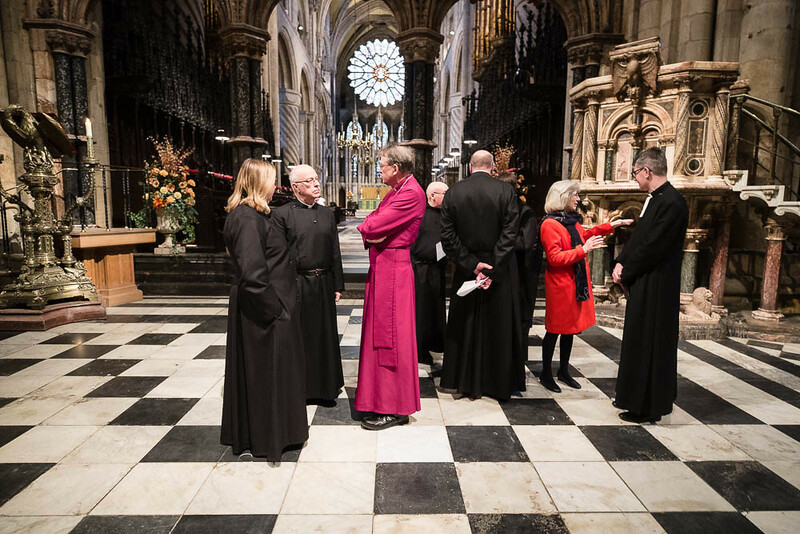 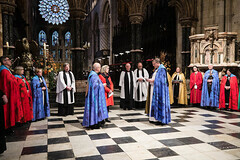 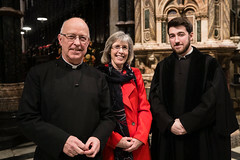 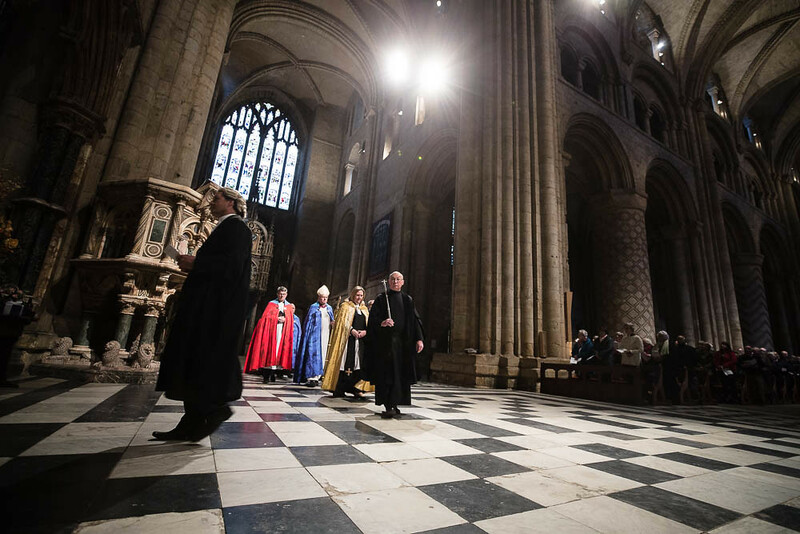 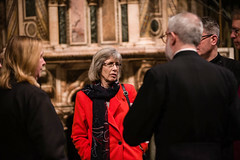 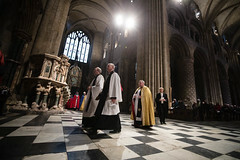 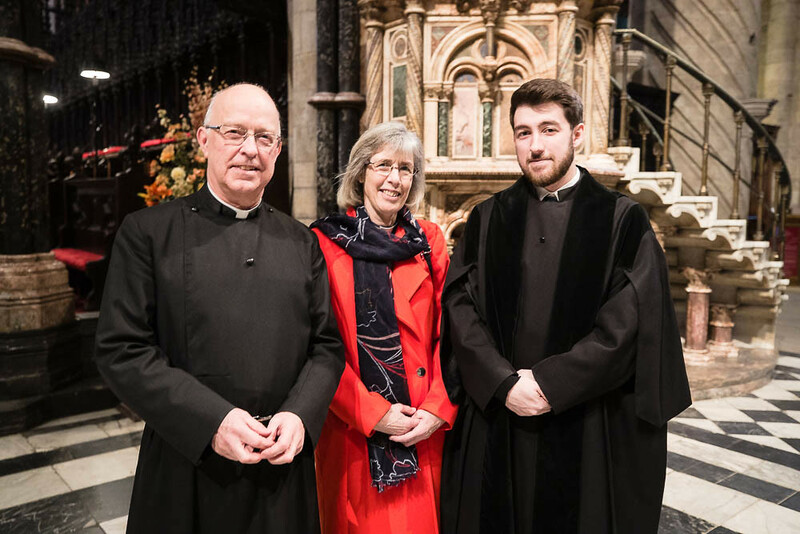 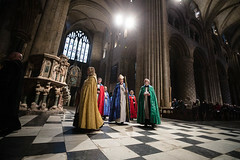 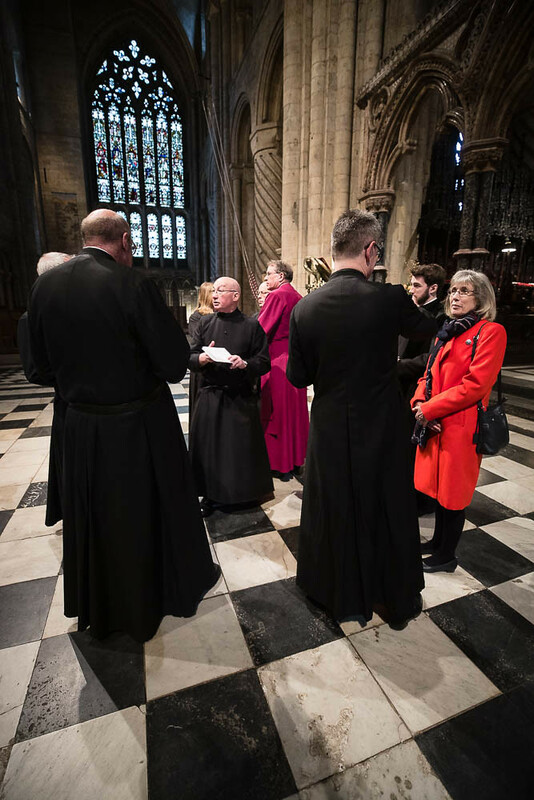 Ian and Ruth process out of the Cathedral for the last time – lead by verger son Aidan. 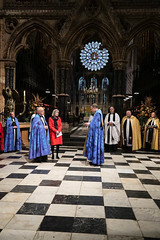 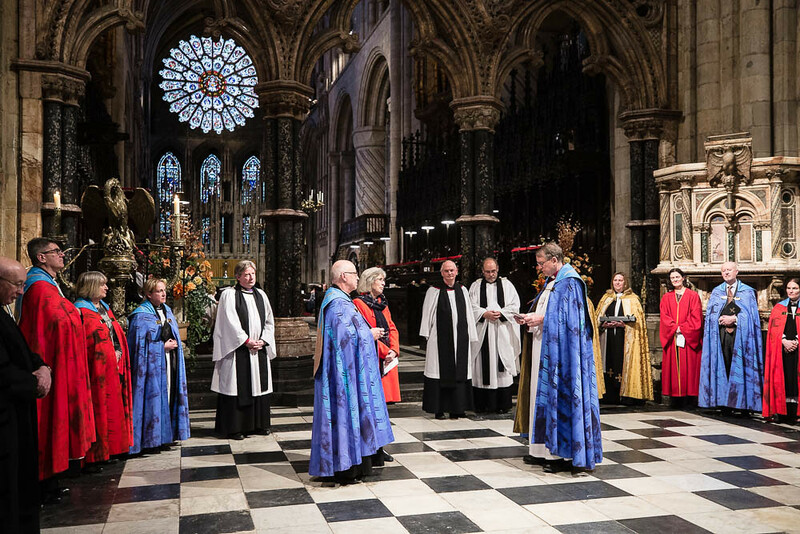 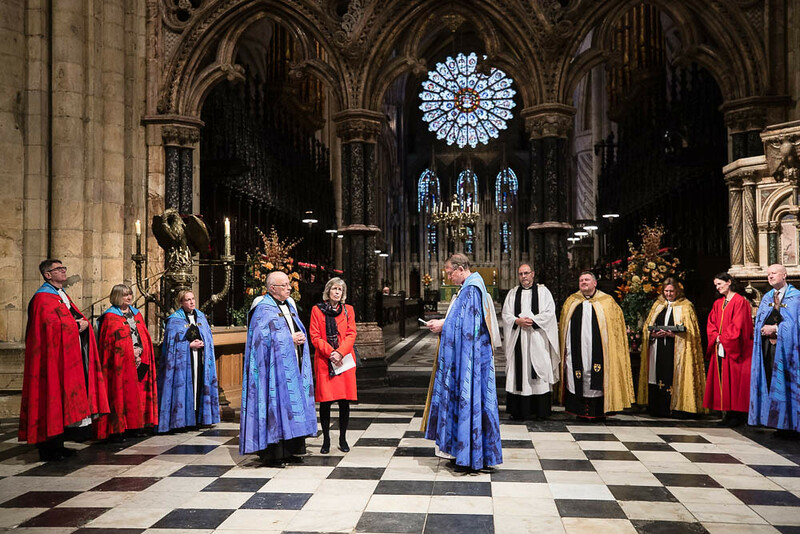 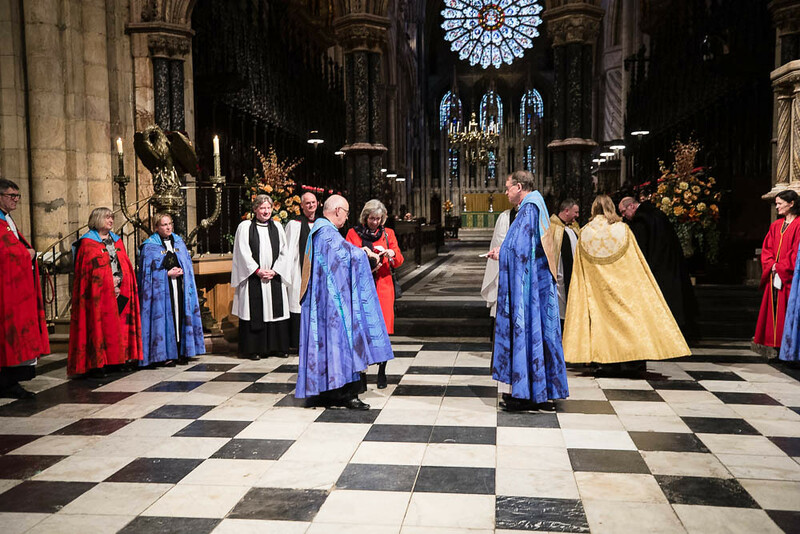 The Cathedral community bade farewell to the popular couple during the morning service whilst members of the Diocese did so during Even Song. Common to both services was a palpable sense of admiration and respect for a couple who have blessed our communities during their 18 years here. 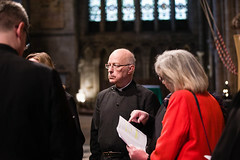 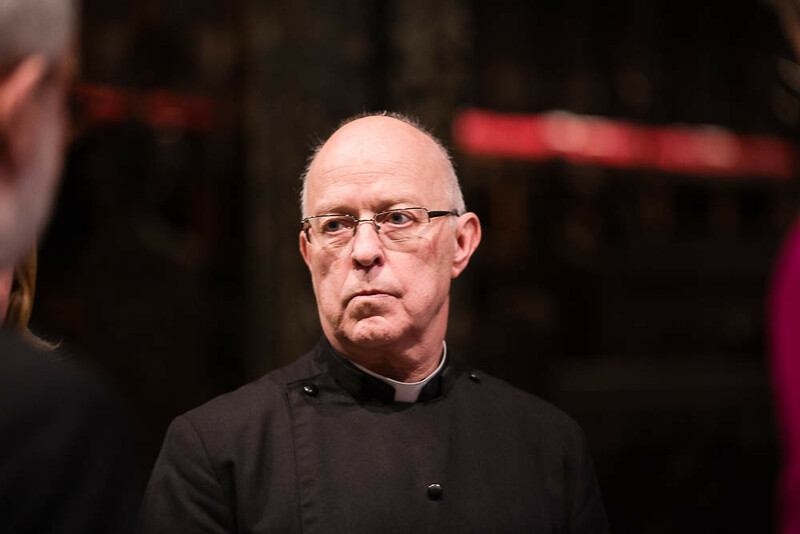 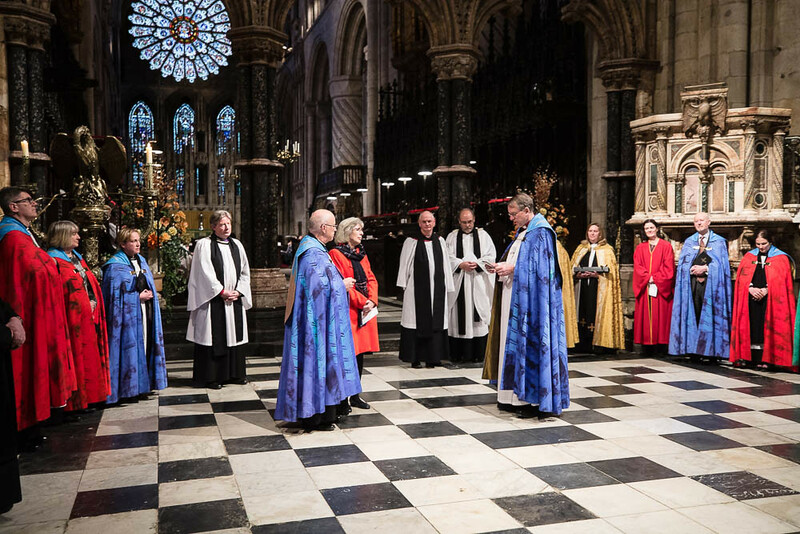 In addition to his Diocesan and Cathedral roles, Ian has also served on The General Synod of The Church of England for many years as a member of the House of Clergy. He was ordained in London in 1982 serving his curacy in Twickenham before moving to the Diocese of Oxford where he held several roles before moving to Portsmouth Diocese and then on to Durham. 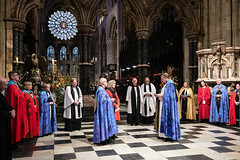 Ruth was ordained in 1990 in Oxford. 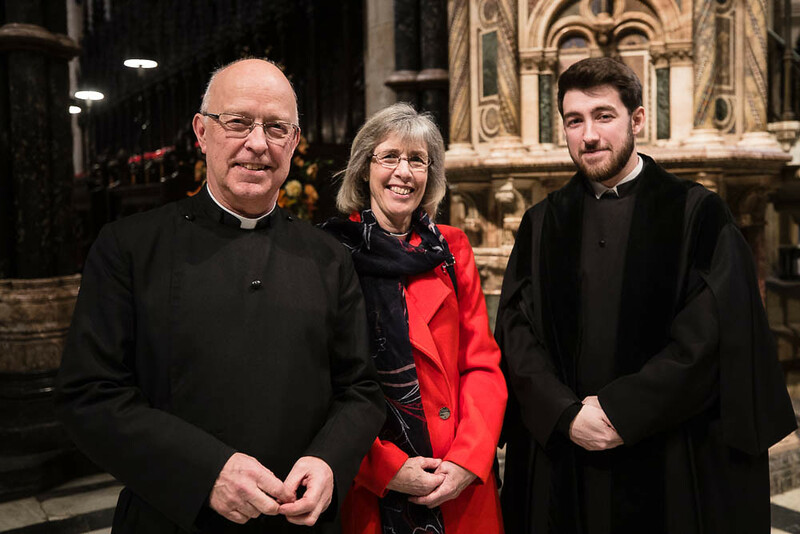 Ian and Ruth will be moving to the Portsmouth area in due course. 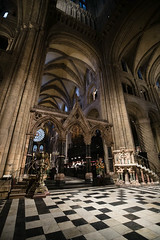 Images can be purchased here.